Scape Films started as a collective of five high school students making films together. The collective at the time consisted of Mike Tesh, Stephen Parpart, Jamie McGuire, Dan Chisnell and Tom O’Leary. Mike Tesh had been making films since 1992. As had Stephen Parpart who was working under the banner Party Posse Productions. Mike never put a name to his work until around 1994 when he got together with Steve and his gang. Mike started calling his work Steller Studios. But no one else seemed to like it. After much debate in 1995 Mike realized the name didn’t make much sense (after all they weren’t a studio), but Party Posse was equally as bad. So everyone got toether to rename the group. Steve and Dan backed the name Blackjack Entertainment while Mike and Jamie backed the name Scape Films. After a while everyone stopped caring and Scape Films just became the name. The name Scape Films comes from the definition of the word Scape which means: “a scene or a view”. In 2001 Mike registered the name as an actual company. In many ways this is the period where Scape Films began. 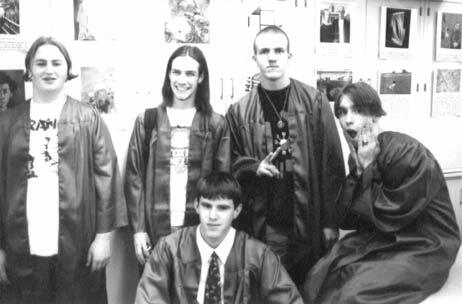 Before 1997 it was really just a group of middle school and then high school students messing around with their parents video cameras. The first film actually tagged with the Scape Films banner was the 16mm short film One Strange Night. During this period Steve went off to college at Michigan State university and Mike attented a film class at the Detroit Film Center (called the Detroit Film Coalition then) where One Strange Night was an assignment. 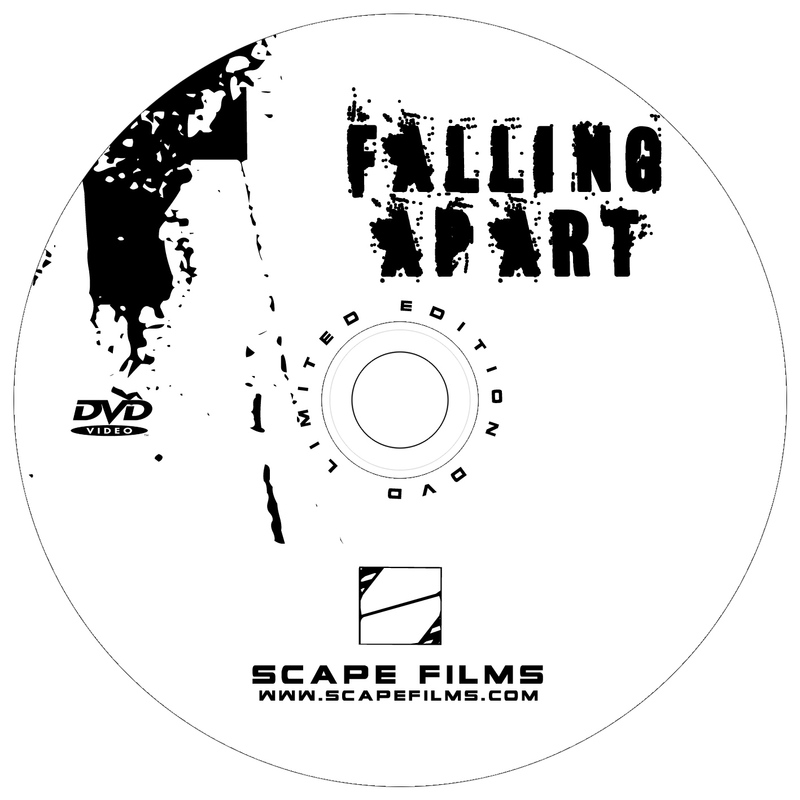 It was also during this time that Josh McAllister joined Scape Films, scoring One Strange Night and the three Withers films that followed as well as Falling Apart and Crash. 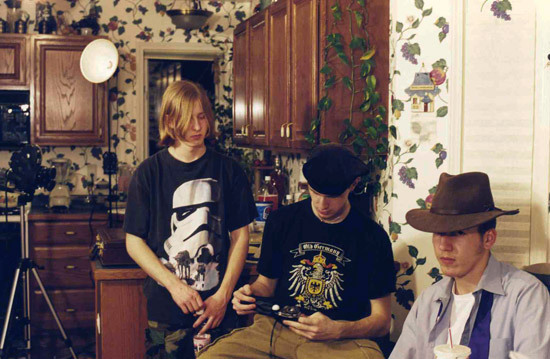 Mike, Steve, Josh, Dan and a cast of others would make the three Withers films during this period when Steve came back from college on break over three consecutive years. Also during this time Mike teamed up with Justin Rekasi and Phil Baron for the feature film Night School and the short film Maintain. Edd Sidebottom was also involved in these projects and would later return for a role in Falling Apart, which would be his last film. Mike and Steve shot the experimental test film QuickGuns which was soon followed by the biggest production to date, Falling Apart. Joe Cwik joined the collective as producer and cinematographer on Falling Apart. Dan helped conceive the initial story and Josh scored and developed the original music for Falling Apart. Scape Films experimented again with the short films What Could have Been and Forget the Train. Steve and Mike then got together and shot Crash as a two man crew. Crash is the most current Scape Films production. It was released in 2006. The core collective of Scape Films is in their late twenties. Steve is teaching in Maryland and Mike is married with two kids working at a media production company, as is Josh. Dan is on the brink of uptaining his associates degree in advertising and working for the Detroit Tigers and Joe just bought a house and continues to work as a programmer for a local company. As of 2013 we currently have no productions in the pipeline. Dan is working on a feature length screenplay. Mike is working professionally as a Director of Photography at a media production company. Steve is working as a high school counselor in Ohio and welcomes his second child to his family this year. Josh is busy running a new record label. Joe is busy working full time, newly married and producing wrestling podcasts. The Scape Films website is updated as a June 30th, 2013 adding a new Cast and Crew section to the site and updating various pages like this one.